Two of these factors are of particular interest, given my purposes here: (i) ‘having something to give to others’ and (ii) ‘being believed in’ (see below for a brief account of each, respectively; and see Table 2.2 for the full list). 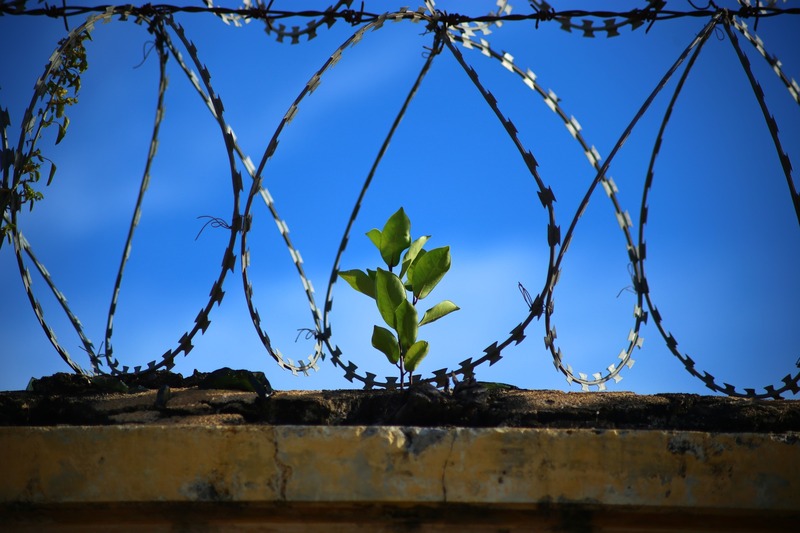 As a community, we have an interest in seeing reoffending rates go down for a whole host of reasons. 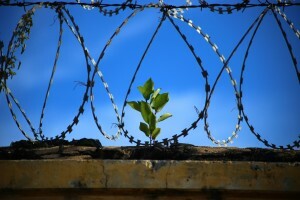 Given the two desistance factors above, acting on this interest would mean finding ways of supporting and recognizing the social contribution potential of people who have committed crimes, and effectively communicating this support and recognition to them through our interpersonal and social attitudes and practices. If we do not do this (or, if we do the opposite of this), then our community’s behaviour and attitudes towards this group of people may be forming part of the reason why these rates are so high in the first place. This is important not only for practical (i.e., reoffending-reduction) reasons, but also for moral reasons. In her work on social rights, philosopher Kimberley Brownlee argues that we wrong each other as social beings when we deny each other minimally adequate means, opportunities, and recognition to contribute socially – a phenomenon that she calls “social contribution injustice”. It is quite easy to see this at work in the case of our community’s behaviour and attitudes towards people who have committed criminal offences, both while they are serving their sentences in prison and upon their release: e.g., the significant compromising of people’s social resources while they are in prison, the essentialising language and labels used in everyday parlance (‘criminals’, ‘offenders’, ‘murderers’, ‘psychopaths’, etc. ), the role that one’s criminal record plays in accessing numerous opportunities (employment, volunteering, non-stigmatized social relations, etc.). These attitudes and practices close down desistance-supporting means and opportunities, thereby blocking both people’s means and motivation to contribute socially. The reduction of reoffending, therefore, requires much broader societal changes concerning the ways we think about and practice punishment than is often admitted (e.g., in the media). And part of this requires that we actively address the injustice that we commit as a community towards those who have committed criminal offences, by recognizing that the social context – and, given our focus here, the importance of people being able to act and be recognized as socially valuable contributors – has a significant role to play in desistance. The Norwegian government has recently taken a step towards embracing this more desistance-focused view by creating a legally enforceable ‘reintegration guarantee’. This requires that state, voluntary, and private agencies do everything that they can to make sure that everyone released from prison will have housing, employment, income, education, health care and addiction treatment. This is a significant step towards addressing the social injustices experienced by those in the community who have already served their sentences. We know that many of the pathways to desistance are through repaired relationships – within families, within communities, and within the state – not just through the ‘correction’ of the individual. These relationships are two-way processes; and it is time that we take seriously our responsibility as a national community to recognize our role in this process and to take steps to rectify social contribution injustice. This will not be easy or quick, since much of this kind of injustice stems from society’s attitudes and/or the practices that attach to or follow from these attitudes. But, as we have seen with other groups in society – for instance, those with disabilities – these things can change for the better and, within a relatively short period of time, we question how and why they were ever different. Hi Fay, thanks for this great post. I very much agree with your position, but I would be interested in hearing more about the last part of your post, i.e. the duty to reintegration (or “integration” in the first place, to prevent people from even becoming criminals). As you rightly point out, realizing “social contribution injustice” is something that cannot be done exclusively by the state. It seems to me that much of what is valuable about social inclusion has to do with its voluntariness: I value being part of a community because its members let me be part of it, or even positively want me to be part of it. If the government told them to include me in the group, I would experience it very differently. What the state can do, of course, is to remove obstacles: obstacles for people to become socially integrated in various groups and communities. Here, I wonder whether we are back at rather familiar issues of poverty and social justice – but this is not to say that this is a bad thing; rather, the fact that human beings need sociability, and many forms of poverty and injustice are obstacles to sociability, creates even stronger reasons for fighting poverty and unjust structures. But maybe you have in mind steps that a government can take – I’d be interested to hear what options you have thought about! Hi Lisa, with respect to the position put forward in this post, I think that the focus is on ways in which the community can alter its *attitudes* about the social contribution potential of people who have committed crimes. (It is our existing – possibly out-of-date, unjust, etc. – practices that often play a role in forming people’s attitudes about an issue, and then these attitudes are used as support for the practices.) If we want to change the community’s attitudes, then we need to make institutional changes (like the ones instituted by the Norwegian govt. ); and we need to make other social-attitudinal changes, such as rethinking the *language* that we use (in academic papers, in the media, in discussion with one another) when referring to people who have committed a crime. If the language that we use when interacting with them displays certain attitudes (be they essentialising/ branding, derogatory, or pessimistic with respect to what ‘offenders’ can give to society), then this does not enable the space for repairing the ‘relationship’ between this citizen and his/her community. So, although I agree with you completely about the issues of poverty and social justice being central to this process, I was trying to make a slightly different point about the ways in which we wrong this disadvantaged group. Thanks for the post, Fay. I wonder if you could say a bit more about moral concerns involved specifically in the idea of social contribution (in)justice (i.e., about the grounds and shape of this idea independent of the connection to desistance) and about the bearing of punishment on people’s entitlements in this regard. I ask this question because it seems possible that how we think about this concern might affect how we think about the argument from desistance. To clarify my thought, imagine that opportunities for social contribution did not reduce reoffending rate. In this case, an argument purely from desistance would not establish that we ought to grant opportunities for social contribution to those leaving custody. I wondered, though, whether we might want to say that people should have these opportunities re-established anyway, or, indeed, that people should not be deprived of them at all if there is some way to keep them intact even, say, during time in prison. Reading your paragraph on social contribution (in)justice made me think you might be inclined towards these suggestions, and that the desistance argument, in a sense, simply adds another good reason. If so, I would be interested to hear more on this case too. It may also be important for rebutting an argument that runs in the opposite direction. I suppose the opposite position to the one I sketch above is that the social contribution opportunities to which one is entitled are ‘surrendered’, as one can be thought to surrender one’s liberty, when one commits certain crimes, and, further, that they are surrendered for a period longer than one’s custodial sentence. If someone held this view, she may also hold that the rationale for removing opportunities outweighs the desistance case too. I thought saying more on the moral concerns involved in social contribution (in)justice may also help defuse this possible objection. Andrew, thanks for this helpful clarification. You are correct in the point you express in your second para. – opportunities for social contribution ought to be granted to all people who have committed a crime, when they are in custody and when they leave custody (as well as other groups in society, such as the elderly, children, fathers, etc. who may not be offered sufficient opportunities to contribute socially in certain ways); the fact that being able to contribute socially has been shown to be a desistance factor adds only an additional reason (a pragmatic reason, for those that might not be convinced by/ sympathetic to the justice-based reason). Thank you very much for this interesting post! I agree with you and Andrew that the justice based reason carries more weight than the pragmatic reason referring to desistance. What I am wondering about is how exactly institutional changes like those implemented in Norway can lead to a fundamental change in people’s attitudes towards criminal offenders. What kind of public debate is needed in order to bring about the desired attitudinal change and avoid the contrary effect: a resistance in parts of society against the institutional changes, based on the feeling that “(former) criminals receive ‘presents’ from the government while many innocent citizens are left alone with their social and economic problems”. I have to think here of the current situation in e.g. Germany and the Netherlands, where parts of society have the impression that the financial investments in the integration of refugees have negative effects for them. What was the main factor, according to you, that brought about the change in attitudes and language towards the disabled?